How Mobile Network Transform from 1G Analog to 5G Next Generation? “G” stands for generation. Each generation is superior to other. When first generation was developed it’s providing a digital network until the second next generation developed. It was a great jump to wireless network from digital network. After this 3G promised to give up to 2 Mbps speed. As 4G and above this are promising to give speed of 1 GPS (Giga bits per second) transfer rate to their user. Now we can see below how “Standards of G” changing Mobile Communications Market after 1980. The mobile phones were first developed in the 1940s but it was not until the mid 1980s that they became widely available. In this era phone calls were developed which are connected through wires until the second generation was developed. 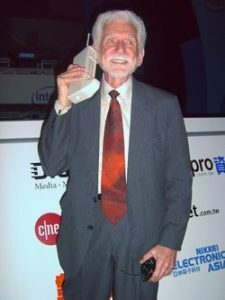 Although, The world’s first mobile phone call demonstrated by John F. Mitchell and Martin Cooper of Motorola in 1973.The major difference in between first generation and second generation was radio signals. In first generation, it was analog while in second generation it was digital. In the second generation of cell phone transmission, a few more features were added to the menu such as simple text messaging. In this generation, cellular signals were digital. During the phone call and messages, radio signals were encrypted into digital through wires. In this generation, most of the wireless technology we came to know and loved like web browsing, email, video downloading, picture sharing chatting, video calling and other Smartphone technology were introduced. 3G should be capable of handling around 2 Megabits per second. The speed and standards of this technology of wireless needs to be at least 100 Megabits per second and up to 1 Gigabit per second to pass as 4G. It also needs to share the network resources to support more simultaneous connections on the cell. As it develops, 4G could surpass the speed of the average wireless broadband home Internet connection. Few devices were capable of the full throttle when the technology was first released. Coverage of true 4G was limited to large metropolitan areas. Outside of the covered areas, 4G phones regressed to the 3G standards. 5G is planning to aim at higher capacity than current 4G, allowing a higher density of mobile broadband users, and supporting device-to-device, ultra reliable, and massive machine communications. 5G research and development also aims at lower latency than 4G equipment and lower battery consumption, for better implementation of the Internet of things. In 5G an initial chip design by Qualcomm in October 2016. The Snapdragon X50 5G modem, supports operations in the 28 GHz band, also known as millimeter wave (mmW) spectrum. With 800 MHz bandwidth support, it is designed to support peak download speeds of up to 35.46 gigabits per second. Data rates of 100 megabits per second for metropolitan areas and 1 Gb per second simultaneously to many workers on the same office floor. Coverage improved and Signaling efficiency enhanced. “Many mobile companies are planning to come with the 5G like Nokia, Samsung and Apple. These companies have launched mobile which are compatible with fifth generation. Nokia 5G FIRST allows operators to address the near-infinite capacity demands of new applications anywhere – seamlessly and securely. 5G FIRST builds on Nokia commercial 5G Nokia AirScale and AirFrame platforms to provide a versatile solution. AirScale beam forming and massive MIMO Adaptive Antennas, which help early 5G adopters, gain a competitive edge. AirScale Radio Access with baseband upgrades for 5G, AirScale Cloud RAN, and the AirFrame Data Center Solution. A cloud packet core that uses a cloud-native architecture to support essential service capabilities such as network slicing and DevOps cloud systems. 5G-ready mobile transport solutions that support cost-effective backhauling, ultra-low latency, and end-to-end transport. 5G Acceleration Services, which help operators, deploy 5G quickly and smoothly”. On the other hand, Samsung also announced 5G mobile network products and solutions in coming time. These devices for fixed wireless access connectivity and a 5G Radio Base and core network infrastructure, among others. Samsung also has expanded its tablet portfolio with Galaxy Tab S3 and Galaxy Book. Today, i have seen the news regarding the launch of Nokia Smartphone. Nokia 3, 5& 6. All these three have 4G LTE Support. they were talking about 5G network but recently launched 4G LTE only. Thank you for feedback, we are trying to provide better post for our users.